Until recently Sande was a hospital chaplain advocating for a non-partisan approach to spiritual care beyond religious control. Her blogging about this and other spiritual issues drew sharp criticism from church authorities who determined her theology ‘not Christian’. This meant she no longer fitted the Christian organisation who places chaplains in New Zealand public hospitals. As she said …’it took a startling dream to make me realise that the institutional church had me by the throat and was throttling the life out of my instinctual spirituality’. Raised as a Baptist, Sande studied theology at St John’s College and Auckland University before being ordained an Anglican priest, another role for which she is no longer authorised. She is also trained in religious studies, pastoral care and narrative practises. 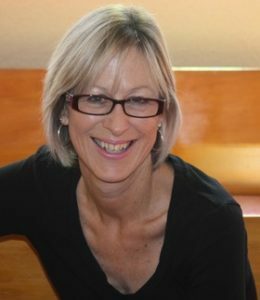 These days she is exploring Jungian thought whilst continuing to draw on a wide range of mythology and story, including her Christian tradition and wondering if by accepting our unconscious spiritual understandings as personal revelation we could then have a role in helping Kiwis grow their secular spirituality. at a time on her Spirited Crone blog. Facebook https://www.facebook.com/sande.ramage.9 and Twitter https://twitter.com/spiritedcrone where she has a strong engagement with those who connect with her there.